can’t navigate out of details of item. buttons don’t work. makes me wonder if any testing was done. awful! and all pestering to sign up for IM capability. disappointed. Won’t let me respond to listing. Every effort I make to send seller a message is interrupted by your ad for Pro Messaging, no ads. Sellers’s beware. 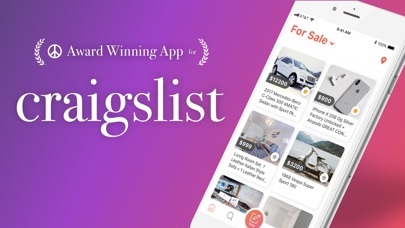 I just downloaded the app because I saw it was an award winning app for craigslist. I was looking at repair services for automotive cars and I clicked on one of the profiles. But I didn’t like it. So I tried to exit and the button back button would not work. I had to exit the app altogether. Then when I tried to launch it again it crashed. I know it’s not my phone. This is the IPhone XR and I just brought this phone. Craigslist sent me an email to try an “unofficial app” which does nothing for me. I can’t log into my account and posting for sale items costs money. Don’t waste your time unless you’re too lazy to click a bookmark link in your browsing app. Latest update... don’t do it ! Previously, app worked well. Now after the latest update it forces you to pay for the Pro. ver. DELETED... Bye Bye ! 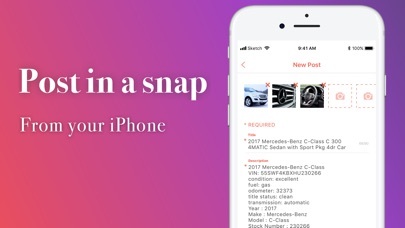 Poor APP, can’t pick multiple locations to search and you can’t choose for sale by owner / or dealer! When I attempt to m sage the seller, CLX tries to sell me an IM function for $5/month. Impossible to get around the loop to inquire about the item. Suddenly need to pay ?? I have had this app for a while. I hop on today to look around and now I need to pay $4.99 a week to message or list anything ?! 😂 goodbye! I’ll find a new free app.